Yesterday, Canadian pop outfit Dragonette finally released their much-anticipated debut album "Galore" in the U.S. and Canada. The group has been creating a fuss overseas with their catchy pop tunes, controversial performance at London's Gay Pride, their acclaimed cover of Calvin Harris' "The Girls" and their racy music video for "Take It Like A Man" that received an "R" rating on YouTube. After some initial scheduling hiccups, I spoke with Dragonette's sassy front woman Martina Sorbora last month. 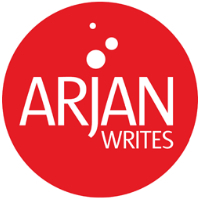 I put together some exclusive bonus audio clips for ArjanWrites.com readers taken from the interview with the singer (who is married to Dragonette's Dan Kurtz and the daughter of a famed Canadian politician). Sorbora talks about are her songwriting inspirations and why she was "scandalized" by Beyoncé. She also explains why the group wore military outfits at London's Gay Pride, why she doesn't think Dragonette is very '80s and she shares how their popular cover of Calvin Harris' "The Girls" came about. Lastly, she comments on her fear that Dragonette's strong visual aesthetic might overshadow the music's substance in the perception of critics. Head over to HMV Canada or HMV UK to order a "3D day-glo CD version" of "Galore," or download the album from 7Digital in WMA format. No U.S. release date has been scheduled at this time. More of my interview with Martina at Bravo TV soon. I am glad to see this finally released here!!! And the Pipettes next week! It's an invasion of great music! I have a blog which is completely full of entertainment like movies, music, ring-tones etc.